Custom cabinets are the best cabinet option because they are built to your specifications. You choose the material, the style, the finishes the size, the shape, the hardware- every detail is made to order so you purchase exactly the cabinet you want. The face frame is the outer frame that is attached to the front of the cabinet box at the top, bottom and sides of the box. This is a style of cabinet door, also known as slab, there are no raised or recessed wood panels, but the cabinet door is level. 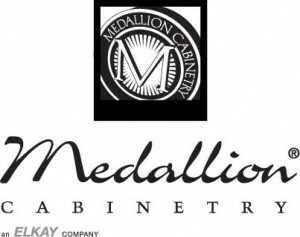 The most common and strongest type of cabinet style. Framed cabinets have a face frame around the front of the cabinet box. Frameless cabinets are also called European Style cabinets. There is no face frame around the front of the cabinet box. Frameless cabinets provide greater storage room, as there is no space lost to the frame. A type of cabinet door that is most commonly used with Frameless Cabinets. The front of the cabinet box is completely covered by the cabinet doors- the doors abut against each other. This is a material used to cover the doors and drawers in cabinets, which are typically made from particle board or MDF. Easy to clean and durable. The rails are the horizontal boards across the top and the bottom on the front of the face frame of the cabinet door. A raised panel cabinet door is just that- the middle wooden panel of the door is raised higher than the rest of the door. Raised panel doors are quite common for both traditional and contemporary styles of cabinet doors. This one is just the opposite of a raised panel, the middle panel is slightly recessed, giving a different look. The panel recesses between the rails and the stiles. The soffit is the area between the top of your cabinets and the ceiling of your room. The soffit usually sticks out beyond the cabinets and is often fashioned into a shelf. Stiles are the vertical boards on either side of the front of the door frame. Some cabinets may also have stiles in the center of the frame. Also known as Partial Overlay doors- these doors are typically used with a framed cabinet and part of the frame will be visible when the cabinet doors are closed. Another option to cover the interior of drawers and doors in cabinets. Thinner than melamine, it wraps easier and is resistant to moisture and abrasions. Wood veneer is an outer covering of hardwood, over plywood, particle board or MDF. Veneer gives you the beauty of hardwood without the high cost. Wood veneer is often cut from the most beautiful parts of the hardwoods and can actually provide additional strength over hardwood as there are multiple layers of wood. As you can see, there’s lots to learn about kitchen and bath cabinets before you make your choice. That’s why we offer a free half-day class twice every month. You’ll learn how to choose the right wood for your project, pick up valuable design tips, and learn about installation. You’ll leave the class feeling confident you can complete your kitchen and/or bath cabinet project beautifully. If you prefer, you can choose to hire an installer/designer/remodeler for your project and leave the work to someone else. The choice is yours. Our goal is for you to finish your project your way, at a cost that fits your budget. Call today at 770-956-4077 to reserve your spot in an upcoming class!